Posted by tombraiderfanboy in 5 Things, Crystal Dynamics, Fan Pulse, Underworld. As published on Tomb Raider Forums. Yes, there are actually some things Crystal Dynamics’ maiden Raider title did better than their latest outing. ‘Tis indeed a surprise, especially since (if we are to go by popular opinion in Tomb Raider fandom) Legend was a mediocre attempt at capturing the spirit of Tomb Raider, whereas Underworld has proven to be the far better endeavor. However, it isn’t only by the essence of a game that the game should be judged. Its gameplay mechanics and presentation among others are also important considerations…and it is in these considerations that Legend has arguably proven itself to be the better game, for which a list has been made to prove it. Here are 5 Things Tomb Raider Legend Did Better Than Underworld. Legend’s three years of development phase allowed for a very well constructed camera and controls system. Underworld, capitalizing on its being Lara Croft’s current-generation debut, had its mechanics built from ground up, albeit being on the same engine. Legend places the camera on Lara’s back for most part of the game. In open environments, the camera’s default position is such that Lara appears to be small in space. In Underworld’s case, the camera is mostly at a nearer distance to Lara even in open environments. This detracts from the ease of exploration, making it needed that the camera be manually maneuvered by the player. In closed spaces such as corridors and small corners, Legend’s camera allows for an opportunity to manually control the camera to have a good view of the environment as needed. 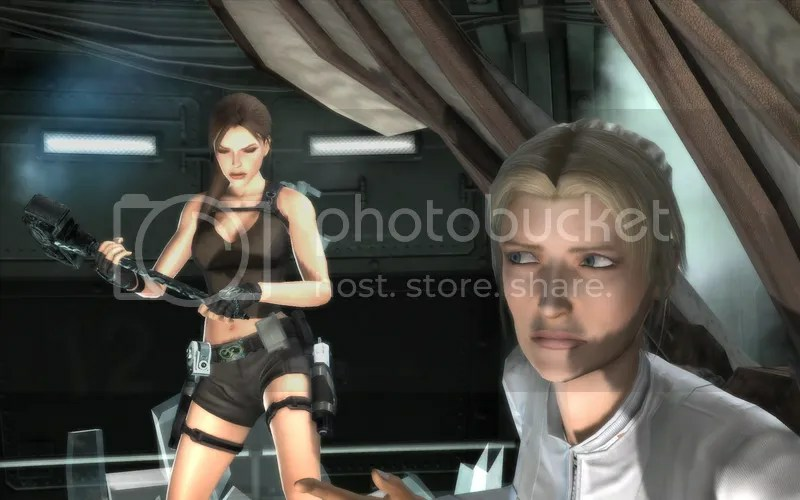 In Underworld, when Lara is in closed spaces, the camera somehow suddenly becomes erratic and hard to control, Lara isn’t even in the picture anymore. While the controls in Legend and Underworld are mostly the same and are built on the same general structure, Legend considerably makes a better impression of responsiveness and precision. Legend’s development phase is no doubt a contributing factor to its responsive control scheme. Button inputs are instantaneously recognized and executed. Coupled with the superior camera system, directional inputs are easily laid out for the player. On the other hand, Underworld, while also responsive, lacks in precision, in that the camera doesn’t quite make it clear how to do what you have to do and what you can do. Blind spots make you guess which direction you’re supposed to point Lara, or whether you should jump in place to reach a higher ledge or wall jump with the right directional and button inputs. This leads us to the next point. Although Legend has its share of bugs and glitches, Underworld easily gives the impression that it was rushed to be released in time for the holidays. In Legend, there is consistency in the quality of each level from start to finish; that is, bugs are nearly non-existent and the levels look amazing throughout. In Underworld, well, there is also a sense of consistency in the quality of each level from start to finish; that is, bugs and glitches are almost everywhere. It is also apparent that the more gorgeous-looking levels are in the beginning of the game like the Med, Thailand, and Mexico. The latter parts (Jan Mayen and the Arctic) look rather lifeless in comparison in that texture reuse are more noticeable because of lack of creative design. Lara Croft aside, the secondary characters of Legend were fleshed out well despite their brief appearances in the title. Anaya Imanu, who only makes an appearance in the Peru section of the game, proved to be far less daring than Lara despite their common interests. She was also shown to be more affected by the tragic past she shares with Lara. Kent – who you may not remember – was also a considerably tangible character. His dialogue with Lara in the Peruvian tomb showed that the members of the dig site group were more than acquainted with each other. In fact, without putting to much focus on it, Legend showed a sense of friendship among those who were in the Paraiso tragedy, especially Sarah, Kent, Amanda, and Lara. The villains of Legend were also characterized quite well. Zip’s background check on James Rutland revealed that he was a son of a senator and presumably had a fortune to his name. This explains his extensive resources for hiring mercenaries to carry out his plans. Shogo Takamoto, just by the mere mention of him being a leader of the Yakuza, already sounded to be quite the threat. Amanda Evert, who was implied to be fueled by vengeance and spite towards Lara, turned out to be driven by her passion for mysticism and the supernatural. Lastly, Zip and Alister, who fulfilled the bulk of their respective roles through Lara’s headset, were also thoroughly fleshed out as characters, perhaps even more so than Lara. Zip was the enthusiastic, tech-savvy assistant who at times even annoyed Lara, while Alister was the conservative metrosexual geek who proved to be a reliable source of information on all things ancient. Now, in comparison, Underworld miserably fails at characterization. While it may have been a matter of creative decision, Alister and Zip’s limited appearances in the game (to the joy of most fans) made them no more than fillers or transitory devices for scenes. (The same case applies for Winston.) Their lack of input or opinion made them paper-thin characters. Although Alister did express his conservative stand on Lara’s latest exploit in the opening cutscene in the Mediterranean, it still pales in comparison to his persona of being the intelligent yet struggling doctorate student he was presented as in Legend. Amanda, who was the secondary villain in Underworld, at no point showed or even uttered a word of her motivation for being involved in the first place. The player is left to speculate based on the events of Legend as to why she was so keen on getting even. Granted, a character need not always state his or her motivations, but a little amount of showing or hinting why Amanda was in it could have made her more welcome as a character. The only characters who were properly given attention to in Underworld were Lara and Natla. Lara is of course a given. Being the central character, some amount of characterization should be in order. Natla, on the other hand, had clear motivations and became more believable as the immortal Atlantean goddess. Her dialogue with Lara showed her wit and provoking humor. Her evil aspirations always showed through whatever she’d say and do. That said, Lara and Natla’s superior characterization in Underworld isn’t enough to stand up to Legend’s attention to fleshing out even the story’s secondary characters. Legend no doubt takes the cake on this one. While Legend is a direct prequel to Underworld, the execution of the story and the story itself in both games are completely different. Legend’s storyline had a very focused direction. There was a noticeable build-up right from the beginning. It was clear from the start that Lara set out to discover what really happened to her mother. However, her search for answers inevitably invited a discovery that was beyond her initial purpose. She would become aware that the dais that made her mother disappear was only one of many communication devices used by an ominous ancient civilization that aimed to shape the course of humanity by ‘breeding’ kings and queens. The story was ambitious but not blown-up; it was epic but well-contained. The details of the story were shown through cutscenes. Clues and information that contributed to the monomyth were given to the player piece by piece, which is why Legend does it better. There’s enough time for the player to digest the story clue by clue. Different characters hold different information about the myth, which then Lara pieces together. What makes the story of Underworld worse than what has been previously established is that it doesn’t have its foundation on what the players do know based on the events in Legend. What the prequel built up to be the grand mother culture that can shape humanity’s destiny was completely overshadowed by the sequel. Adopting the Norse interpretation of the monomyth (if that’s what it actually sets out to do) somehow made what Legend made clear more confusing. It also doesn’t help that Underworld attempts to tie-up Atlantis with Norse mythology and what we know from Legend as the Merlins of the King Arthurs. It is true that that which you do not understand, you do not appreciate…especially in the case of Underworld. The execution of the story doesn’t put prime on making the players understand. It was three parts Norse myth (id est. Thor, his hammer, the serpent Jormungandr, and Ragnarok), and one part Natla and Amanda, which are both returning characters in the series. These two characters carry with them their respective stories. Amanda, that of the King Arthur monomyth, and Natla, that of the Scion and Atlantis. Both weren’t addressed. What Underworld focuses on is the Norse take on the what has been established by Legend and the new story that goes with it, thereby failing to answer the questions left by Legend and Anniversary. It is especially more confusing when the main story of Underworld (Thor and Jormungandr) is only really made clear in the last twelve minutes of the game. Unlike Legend, Underworld crams all the information in one cutscene (Natla’s speech atop the Jormungandr device about the seventh age), leaving the player with the overwhelming feeling of having to piece everything together only towards the end of the story. In this regard, Legend does it best: everything adds up to the bigger picture, such that towards the end, the only thing left for you to comprehend and savor the moment of is the demented twist of Lara being the unwitting cause of her mother’s misfortune. 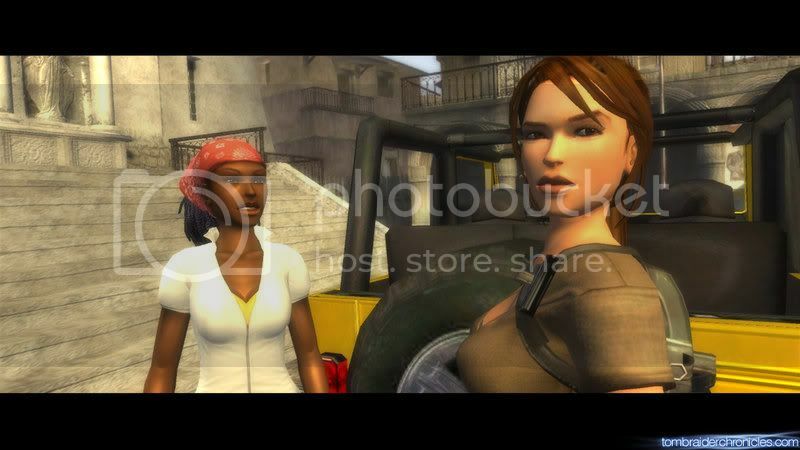 Legend takes Lara to a variety of locations to retrieve clues about the pieces of Excalibur and the pieces themselves. She goes to Tiwanaku, Bolivia to locate a dais Anaya tipped her off about, leading her to Paraiso, Peru to find a ceremonial copy of the artifact she’s in search of. Lara then ventures into the corporate world of Tokyo to meet with Yakuza leader Shogo Takamoto who allegedly stole the original piece from the collection of Waseda University in Japan. After which, she is led to a temple in Ghana to get Rutland’s piece of Excalibur. She subsequently goes to an abandoned laboratory in Kazakhstan where she finds the third piece of Excalibur. She is then led back to England, the King Arthur museum, underneath which is the real tomb of the legendary figure where she finds the last piece of the sword. She then treks the snowy mountaintops of Nepal to look for the Ghalali key and to go to the temple where she and her mother sought refuge when their plane crashed years ago. Finally, she goes back to Bolivia where she uses her reforged Excalibur to battle Amanda and use it on the stone dais. 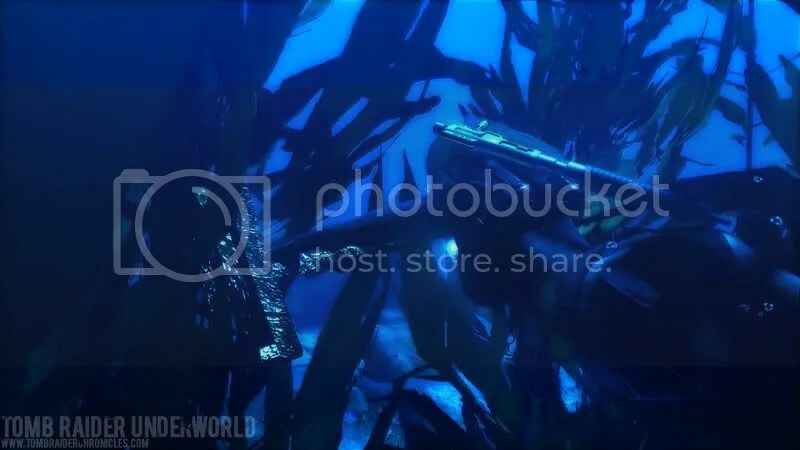 Underworld, on the other hand, brings Lara to the Mediterranean sea after getting the coordinates from Professor Eddington. She finds a long-lost structure beneath where she finds a kraken and gets the first of Thor’s two gauntlets. She then goes to Thailand to find more information and clues about Thor’s relics left by her father, bringing her back to her own home in England to find the place where her father had kept the other gauntlet he retrieved years back. After getting the gauntlet, she goes to Mexico where she goes through the jungle and various temples to find Thor’s belt. To get Mjolnir, Thor’s hammer, Lara goes to Jan Mayen island where she activates ancient mechanisms to get to the chamber where the hammer is contained. Lara then goes to raid the other ship of Amanda to threaten Natla with the hammer for information on Avalon or Helheim. Natla tells her that Helheim is actually in the Arctic. There, Lara activates an underwater mechanism to open the gates to Helheim. She is then led to the chamber of Jormungandr where she puts a stop to Natla’s plans and kills the mutated form of her deceased mother. Although Underworld undeniably has more beautiful, bigger and more complicated levels, Legend offers more variety in locations and physical environment. While it is part of Underworld’s story that the respective underworlds of the places Lara visits look similar, the apparent likeness of the levels in this aspect takes away from the variety. The reuse of Amanda’s ship as two separate levels also doesn’t contribute to the variety of the game. Legend, on the other hand, offers distinct locations and environments. The Bolivian temple, the Peruvian tomb, the Japan cityscape, the Ghana falls, the Russian laboratory, the King Arthur museum, and the Nepalese mountaintops all look distinct from each other, apart from the boss battle stage in Bolivia. And yet, despite all the things Tomb Raider Legend managed to do better than Underworld, it’s a pity that the latter inevitably outweighs the former when we’re talking the more essential things in a Tomb Raider game. Don’t get me wrong, cameras and controls are important components of a TR game, but without atmosphere, creative physical puzzles, properly-integrated music, acrobatic obstacles, and the Lara Croft attitude, you’re better off dropping the Tomb Raider title to spare yourself the incessant criticism of not being good enough. Right, TRF? All images courtesy of Tomb Raider Chronicles and Tomb Raider Forums. Posted by tombraiderfanboy in 5 Things, Fan Pulse, Hollywood, Music, Underworld. While the bulk of Lara’s adventures have mostly taken her to dangerous and foreboding places, her tomb-raiding sprees are not without the occassional relaxing and meditative atmosphere of lush rainforests, snowy mountain tops, and bouldered ruins. It isn’t enough, however, that these places are such stunning sights to behold. What makes them distinctly calming (in an awe-inspiring way) is the music that comes with them, and that’s what this fanboy list will be treating you to: The Top 5 Most Soothing Music of Neo-Tomb Raider. 5. Croft Manor Theme – Tomb Raider: Anniversary (Composed by Troels Folmann): When your butler’s gone missing, leaving you a list of chores to do in your own mansion, you know there’s something wrong. But that doesn’t stop Lara from accomplishing Winston’s to-do list anyway, which meant running back and forth, up and down just to fix the drainage. Oh, but going about Croft Manor is far from being a chore, especially if the starry night sky is set to Troels Fomann’s theme for Lara’s not so humble abode. It’s actually a modern take at the original four-note melody predominantly characterized by playful percussions. Although it’s a bit repetitive, the variation of soft and loud beats (starting from 2:04) makes you want to listen to the piece through its six-minute run. 4. 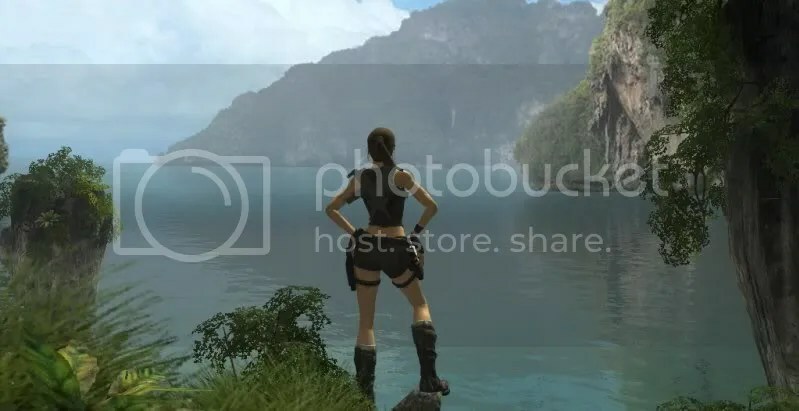 Nepal Theme – Tomb Raider: Legend (Composed by Troels Folmann): When Lara was still holding hope that her mother might still be alive after her mysterious disappearance, she ventured atop the Nepalese mountains in search of the brooch her father had given her mother. This brooch was said to be the Ghalali key; the stone that puts the pieces of Excalibur back together. Getting the key back wasn’t the prize though, but the journey to get to it. The vocals of the piece sets the mood for a lonely trek through thick snow, but at the same, it emits a sense of peace in being the lone wolf Lara is. Setting the vocals to the tribal beats in the background hints that the Nepalese terrain has long been uncharted, which makes raiding it all the more atmospheric. 3. Poseidon’s Theme – Tomb Raider: Anniversary (Composed by Troels Folmann): Anniversary‘s version of St. Francis Folly is arguably the level of the remake that is right up there with the original in terms of scope, atmosphere and level design. But what truly stands out as the real gem in Crystal Dynamic’s rendition of the famous vertical level is the puzzle room of Poseidon. Characterized by an abundant use of chimes, Poseidon’s Theme gives a sense of awe at the sight of the azure puzzle room. The rendition of the Tomb Raider melody at 00:31 that overpowers the background is the main source of relaxation, together with the whispering choir the accompanies it. 2. Underwater Caverns – Tomb Raider: Underworld (Composed by Colin O’Malley): One would think that Lara was on a tropical vacation rather than a dark quest into ancient underworlds at the sight of coastal Thailand. Hell, she has a yacht with her. Winston’s tea tray-serving abilities could have seriously done a good job at making it the perfect getaway. In contrast to the Nepalese mountains of Legend, this piece indulges Lara in the wonders of (current-gen) nature, as if to say, “Skinny-dip now, raid later”. Set to the stunning water graphics of Underworld and the massive stone structures and lush fauna, Underwater Caverns sets the mood for a leisurely pacing of Southeast Asian tomb-raiding. And hear the ethereal vocals at the 1:12 mark? Should’ve been there right from the very beginning. 1. Arrival in China – Tomb Raider: The Cradle of Life (Composed by Alan Silvestri): That’s right. The movies — not the games — get the top spot. You must be scratching your head trying to remember the scene where the music plays; much less, what the entire film is all about. Well, here’s a refresher: Performed by the London Symphony Orchestra and conducted by Alan Silvestri himself, this piece heralds Lara’s arrival in a rural area in China where she meets an old acquaintance for help. This time, she’s in pursuit of an orb that tells the exact location of the mythical Pandora’s box. Remember now? Chinese influence is noticeably reflected in the musical arrangement and the instrumentation. The original four-note melody can be loosely heard at the 00:40 mark and becomes more readily recognizable at 1:08 (despite missing a note). Although there’s arguably a hint of sadness to the composition, the idyllic location shown in the film makes the piece more about indulging in transient tranquility. For after all, Lara really doesn’t have the luxury of time to trade in her pistols for meditative silence. So there you have it: The Top 5 Most Soothing Music of Neo-Tomb Raider. Be sure to have ’em on your own personalized playlist, so the next time you feel the urge to throw your mouse/controller because of Underworld’s camera, chilling is just a Play button away. In the meantime, here’s a bonus video of Alan Silvestri conducting the London Symphony Orchestra for Lara Croft Tomb Raider: The Cradle of Life. Just so you know the amount of work put into scoring Lara Croft films, and games. Posted by tombraiderfanboy in Lara Croft, Underworld. Eidos has recently confirmed two new outfits for Lara Croft as downloadable content for Tomb Raider Underworld. One is the classic green top and short shorts combo from ’96 and the other the Legend ensemble from 2006. The two outfits will be available for free next week on Xbox Live. No mention of a PSN release has been made. Update: The costumes will be released on on 23rd December on Live. Another set of new downloadable outfits will be available on 30th December. Hop on to Tomb Raider Chronicles to have a look at the recolors.